Mcconaughey is pumped that he’ll be his own hero ten years from now. Matthew Mcconaughey revealed in his Oscar acceptance speech that his hero is himself in ten years, and a new study has shown that everyone else in the world also sees future Matthew Mcconaughey as their hero. People from all over the world have spoken out about their experiences after the Oscars. Russian President Vladimir Putin also publicly announced his new hero, admitting that if he could do it all over again he would give up dominion over the largest country in the world by landmass to be an actor in the same vein as Matthew Mcconaughey’ hypothetical future self. 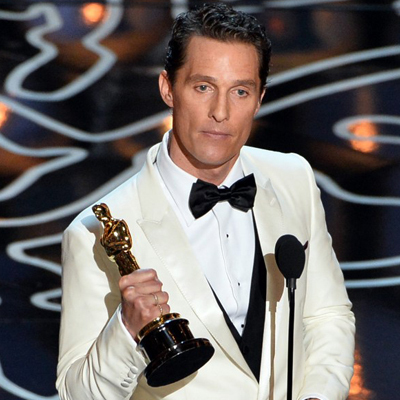 The Academy of Motion Picture Arts and Sciences has officially declared this years Academy Awards to be National Matthew Mcconaughey in 2024 Day, leaving us all to eagerly await next year’s Matthew Mcconaughey in 2025 Day. March 5, 2014 in Arts and Entertainment.